Guides parents who want to be green, but don't know how to balance that in a busy modern lifeIn this fun, practical, and inspirational guide, you'll learn how to maintain your green values while raising your children, engaging with nature, and getting outdoors—all without feeling guilty about the inevitable compromises. Aimed at parents of zero to 10-year-olds, this book takes a humorous and lighthearted look at all things green and nature inspired. Based on Kate Blincoe's own experiences as an eco-aware parent, the book's message is that it's not about being perfect—it's about giving it a try, feeling the benefits for your family, and having fun while you do it. This guide provides essential advice on food and eating, eco-buying, learning and playing, family-friendly foraging, growing plants and food with your family, green days out, activities and parties, green parenting in the city, and balancing your green ideals in a busy life. 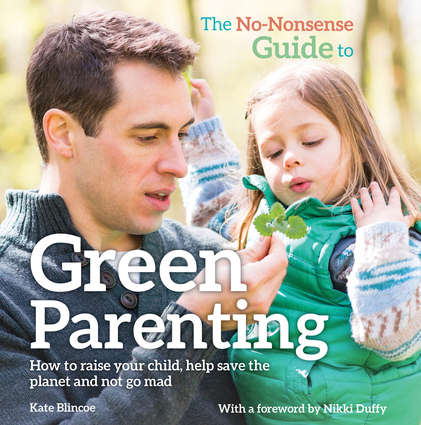 Kate's pragmatic approach will inspire you to balance green living with the realities of raising children. Kate Blincoe is a freelance writer who works in public relations and environmental education, particularly for families.